New approach: New windsurf adventures? Now Erik will focus on exploring and new adventures in windsurfing. Still about moving boundaries and going fast. 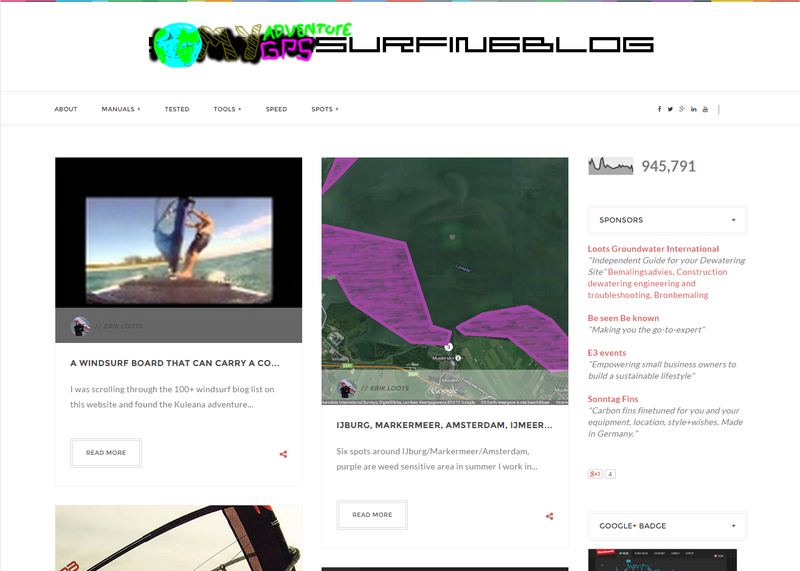 It is about crossing places, making a journey from one to another place by windsurfing. 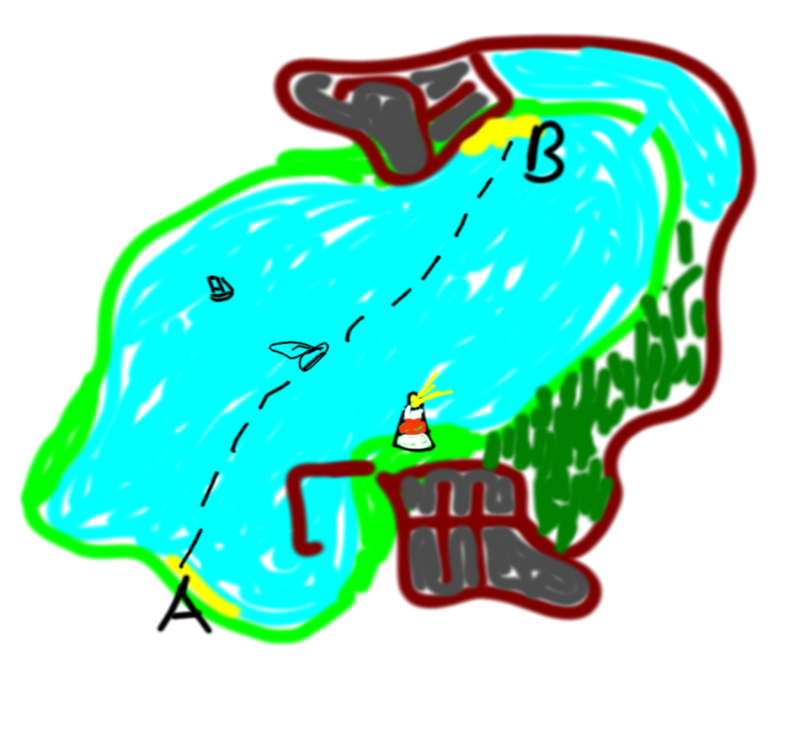 The crossing may be as small as one nautical mile up to hundreds or even thousands of nautical miles. It is about making it from A to B and preferably as quick and safe as possible. Everything has to be re-thought, the ideal settings, equipment, safety measures, etc. As it turns out many others already did some marathon, crossing or even camping/travelling with a windsurfer! With a GPS it is possible to track your day or navigate to the next place. 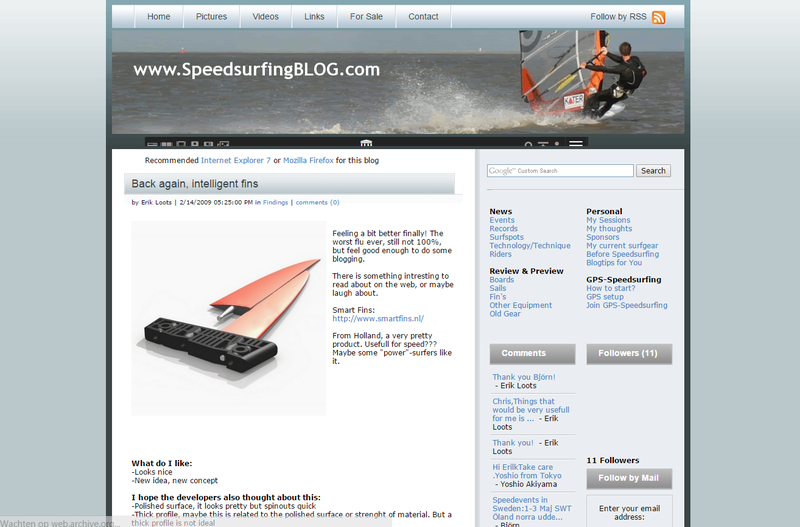 When using the GPS and conditions around you it is possible to improve a crossing or find better ways/equipment etc..
Nope, Erik did speedsurf active from season 2005 till februari-2011 and has covered speedsurfing topics from 2007 till 2014, now he is into new windsurf adventures. He does not want to focus on 1, 2, 10, 20 seconds speedsurfing at this point of time. However he is excited about water, wind, windsurfing, going FAST, gps, improving and challenges. The decision to stop speedsurfing in 2011 was made because Erik lost fun doing speedsurfing for three reasons. (1) Speedsurfing has been explored and developed pretty well from 2003 ~ 2015, the sport is growing into a radical direction where there are little improvements/challenges left (which pushed it in a direction where it is 100% competitive and not adventurous/fun for all). 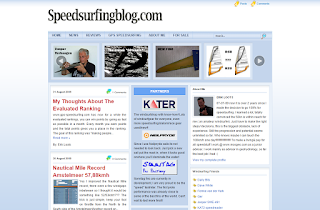 (2) In the end being mr. speedsurfingblog lead to intimidation practices from other stakeholders in speedsurfing which favored a more radical speedsurfing approach (speedevent organiser, former windsurfequipment sponsor, manufactorers and 'competitor' speedsurfers). 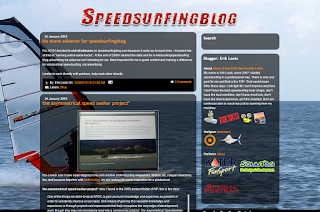 (3) As a result of 1 and 2 gps-speedsurfing is not a wide growing sport.